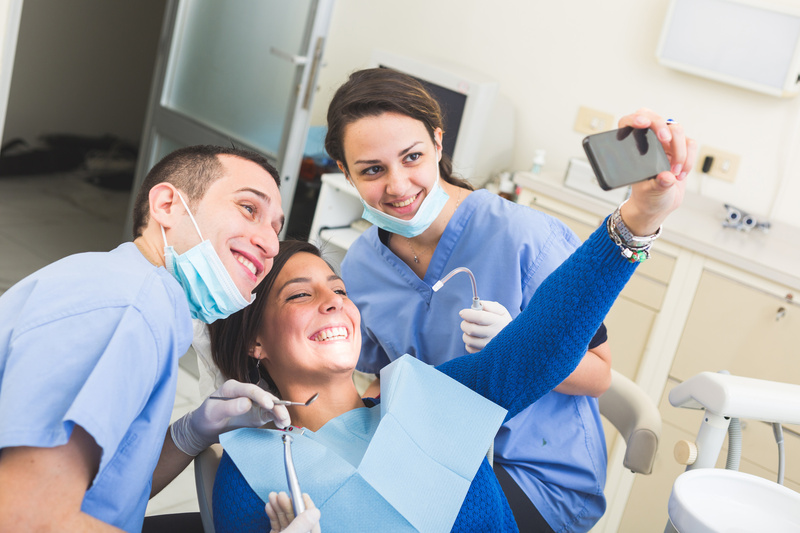 It’s not enough for the fintech world to be sick to the back teeth of the “millennials would rather visit their dentist than listen to their bank” quote – but we now have yet another UK payments start-up – this time launched by an actual dentist. On the dirt-encrusted and pothole-festooned streets of the UK, fintech journalists rushed out to celebrate and dance with joy at such a story appearing in their cluttered inboxes. Another firm! Another press release with delusions of grandeur! Where will it end? In the recycle bin probably. The start-up is targeting millennials (how novel) and will offer payments via selfies – sort of. The press release explains that “users flash their teeth at their mobile phones, and via state-of-the-art and cutting-edge technology [as opposed to black magic we suppose?] their pearly whites are analysed and the payment is made”. In an exclusive interview with Banking Technology, Percival Pummellord, a London-based orthodontist and bandwagon jumper extraordinaire, relates his inspiration (and he kindly removed his surgical mask to speak to us): “I was doing some unnecessary root canal work on a client. I need to fund my latest holiday so often make money by performing such needless actions on my customers. Indeed. Why not. Welcome to our world. The name of the company is the rather prosaic Plaque Payments (damn it, Jim, he’s a dentist, not a wordsmith!). But Pummellord did consider other monikers – such as With Teeth, Buy Molar, Denture Debt, In-Dentured, Fangs for That, Fangtech, Ivory Primary, and the risqué Oral Checks. While Pummellord was naturally ecstatic about entering the fintech market, the recipients of such stories were less enamoured. The rest of our chat with Jägermeister petered out. There were no more words, just him sobbing intermittently, and then finally culminating in an unearthly howl like some kind of angst-ridden banshee. Better to reign in Hell than lose your verve in Heaven. And forced to write a jargon-saturated news report.